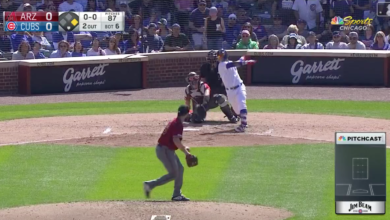 Willson Contreras got yelled at Sunday for pimping what ended up being a double. Javy Baez yelled Saturday while pimping what ended up being a big homer. El Mago’s 32nd shot of the season was only the 15th allowed by D-backs aced Patrick Corbin and it put the Cubs up 3-0 in the 6th inning.